Non-toxic car seats are growing in popularity and availability. While physical safety is the primary concern when it comes to choosing a car seat, it is also important to consider chemical safety. Car seats are safety devices designed to protect our children, so choosing a car seat is one of the most important product decisions you will make. But, how exactly do you choose the right car seat for your baby and your car? There are two key aspects to consider: physical safety and chemical safety. Physical safety is always the top priority. When considering physical safety, you’ll want to look at how easy it is to install the car seat and what extra safety features it has. Does the car seat fit well in your car? Can you get your child into the seat easily, every time? How long will your child be able to use the car seat? Chemical safety, on the other hand, refers to the presence of toxic chemicals such as hazardous flame retardants and fabric treatments. In addition to physical safety, you’ll want to pay attention to the chemicals that a car seat will expose your child to. Babies and children have developing bodies that are especially susceptible to the dangers of these toxic chemicals. Thanks to the growing research on car seat chemical safety, led mostly by the Ecology Center’s study on chemicals car seats, there are a growing number of manufacturers that are making car seats without flame retardants, and car seats made using potentially safer flame retardant chemicals. That means that you have some wonderful non-toxic car seat options to choose from. To help you choose the right non-toxic car seat for you, let’s talk a little about why you should be cautious about which flame retardant chemicals are used in your child’s car seat (if any), and go over the results from the December 2018 Ecology Center Car Seat Toxicity Report. What if Your Car Seat is on the Toxic List? While car seats are made for children, they are subject to automotive regulations. Problem #1: These flame retardant chemicals are associated with numerous health risks. Because of the way flame retardant chemicals are applied to the foam and fabric of car seats, they break down and can be present in the air and dust inside vehicles. Babies and children can become exposed to these chemicals through ingestion of dust, inhalation, or through physical contact. Considering how much time children spend in their car seats – and how sensitive their systems are – this exposure is concerning. Car seat companies are exposing babies to these chemicals in their car seat — an item kids make regular and direct contact with, often for prolonged periods of time. Problem #2: They may not be necessary. Problem #3: These chemical fire retardants may be ineffective. And that’s just the tip of the iceberg. But, this is still the current law, and car seat manufacturers must continue to meet these standards. The latest study done by the Ecology Center, released in December 2018, examined 18 car seats for harmful flame retardant chemicals. For the first time ever, the study also tested for per- and poly-fluorinated alkyl substances (PFAS) on the car seat fabrics (fabric treatments that make the fabric stain resistant). I love that they are looking at more chemicals that we as parents would want to avoid exposing our kids to. and no fluorinated substances (e.g. fabric treatments). Car Seats of Moderate Concern: Seven additional seats received a “Moderate Concern” rating, meaning that they contain phosphate-based flame retardants (which may or may not be safer than halogenated flame retardants), and up to one car seat component that contains bromine. Three of these seats were found to contain fluorinated treatments in the fabric. Choose from this list of car seats if you are on a budget and the seats listed above are out of your price range. Unfortunately, there isn’t a seat without flame retardants that is under $349 unless you find an occasional sale. I often post about sales in my Facebook group and occasionally on my email list as well. Car Seats of High Concern: These car seats were poorly rated, as they were found to contain bromine in two or more components in the car seat. This is not ideal because it increases your child’s exposure to brominated chemicals in areas such as the car seat straps and shoulder pads. Only two of these seats were not found to contain fluorinated chemicals. If you own one of these car seats, please see my advice below on how to reduce your child’s risk of exposure to these chemicals. Seat Tested Type Fabric Type Flame Retardant Chemicals? Components Containing Bromine Fluorinated Substances? Since 83% of car seats tested were found to contain potentially hazardous flame retardant chemicals, it should be no surprise, then, that the seats that received the best rating are the ones that contain no added flame retardant chemicals. Please note that while the 2018 study may have only tested one version of each car seat due to budgetary restrictions, I have included their sister models when applicable. For example, the Clek Fllo Mammoth received a Low Concern rating in 2018, but I have also listed the Clek Foonf Mammoth because they are made with the same fabric. UPPAbaby was the first company to introduce a car seat that does not contain any flame retardant chemicals. The UPPAbaby Mesa in Henry and Jordan are made with a wool/polyester blend that is naturally flame resistant and does not require added chemicals to meet automotive flammability requirements. Both the Henry and Jordan fabrics have been rated by the Ecology Center as being of “low chemical concern”, receiving their highest rating in the 2018 and 2016 car seat studies. As you can imagine, the UPPAbaby Mesa is a non-toxic car seat that is growing fast in popularity. In addition to being made without flame retardant chemicals, this lightweight (10 lb!) car seat features side-impact protection, a no-rethread harness, and UPPAbaby’s Smart Secure system for an easy and safe installation using LATCH or belt-path. And while 50% of the seats tested by the Ecology Center were found to contain PFAs, the Merino wool Mesas did not contain any PFAS. Before you buy, please note that UPPAbaby has two versions of the fabric on the Mesa car seat. 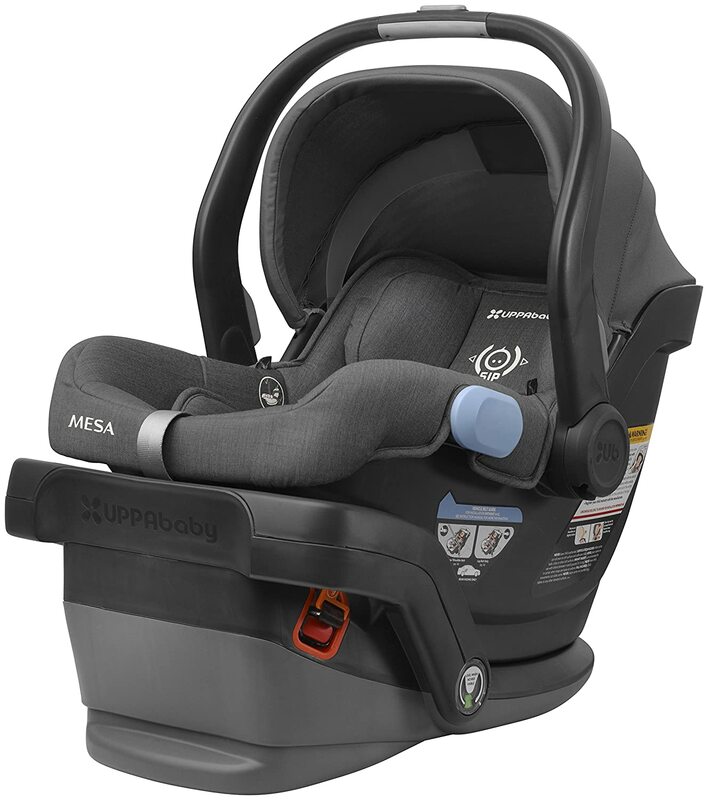 The standard Mesa car seats (Jake, Denny, and Taylor) are made with polyester fabric and use phosphate flame retardants. (These seats received a “Moderate Rating” in the 2018 study.) The Henry and Jordan models are made with Merino wool blends and received the “Low Rating”. They cost a little more than the standard Mesa car seats but are 100% worth it in my opinion. Overall, the UPPAbaby Mesa is one of my favorite non-toxic car seats. This is the car seat we used with both boys, and I was mostly happy with it, except for the fact that I was unable to use the belt-path installation in my car because the seat kept getting loose. This might be car-specific and UPPAbaby customer service was very helpful and suggested that I switch to using a LATCH install, which was much better. The Mesa is compatible with UPPAbaby’s own line of strollers, including the Vista in Henry and the Cruz in Jordan. Since it’s a newer car seat, you’ll find less compatibility with other stroller brands at this time; for some reason, Baby Jogger stopped making adapters for the Mesa. I have been very happy with the UPPAbaby Mesa car seat and recommend it to new parents. Even more so now that the flame-retardant-free versions were released. 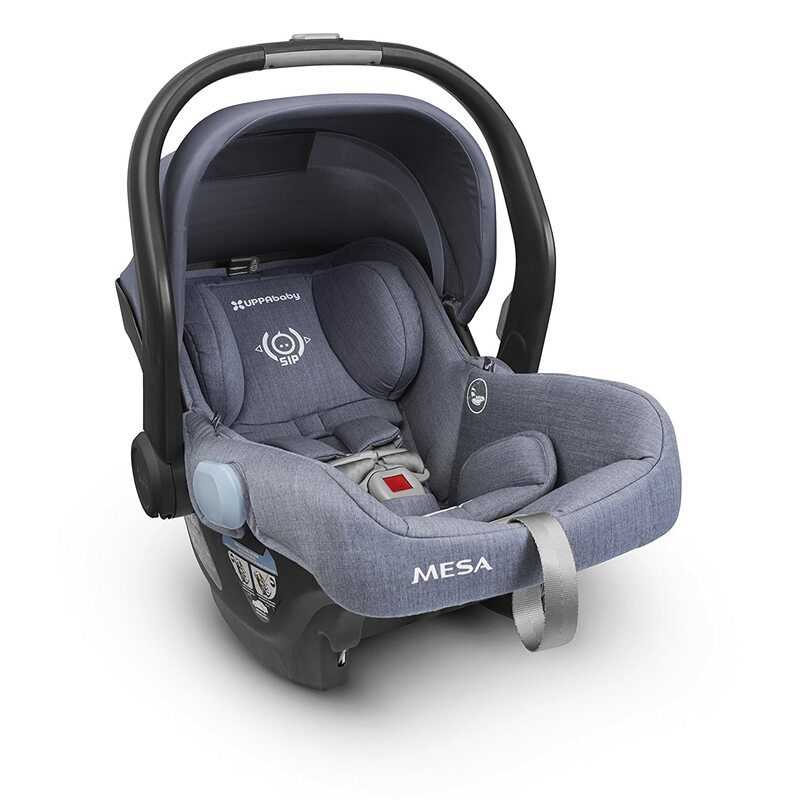 If you’re truly looking for a non-toxic car seat, the Mesa is a fantastic choice. This is Nuna’s first car seat that is made without any flame retardant chemicals (but they have since gone on to remove flame retardant chemicals from all their NEW car seats). 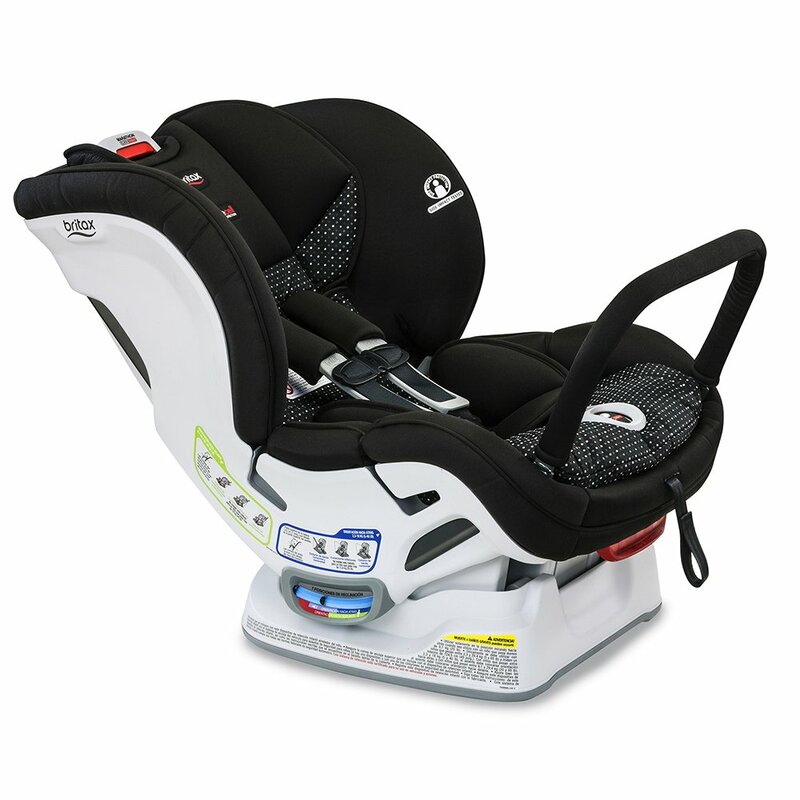 Weighing in at only 5.3 lbs., the Pipa Lite is the lightest car seat on the market. The materials used in the seat do not contain any flame retardant chemicals and meet government flammability standards naturally. However, the company would not be specific with me about how they meet these regulations. All they say is that the materials used are sourced because of their ability to be naturally flame resistant. The Pipa Lite also features side-impact protection and uses lightweight foam that is lightweight, resilient, and reduces the force transferred to the baby by absorbing and diffusing energy. The only downside to the car seat is that it cannot be used with only a belt-path installation. So, if you plan to use it on an airplane, you will need to travel with the base. If you plan to use your car seat on an airplane, I would instead opt for the UPPAbaby Mesa in Henry or Jordan, because the UPPAbaby can be used without its base. Clek is another one of my favorite car seat brands. We have a Foonf in Mammoth and are very happy with it! Clek is an innovative Canadian car seat manufacturer and was the first to introduce convertible car seats without flame retardant chemicals. Any of their seats in “Mammoth” fabric are made using merino wool and are naturally flame resistant. These car seats contain no flame retardant chemicals in any of the components of the car seat. 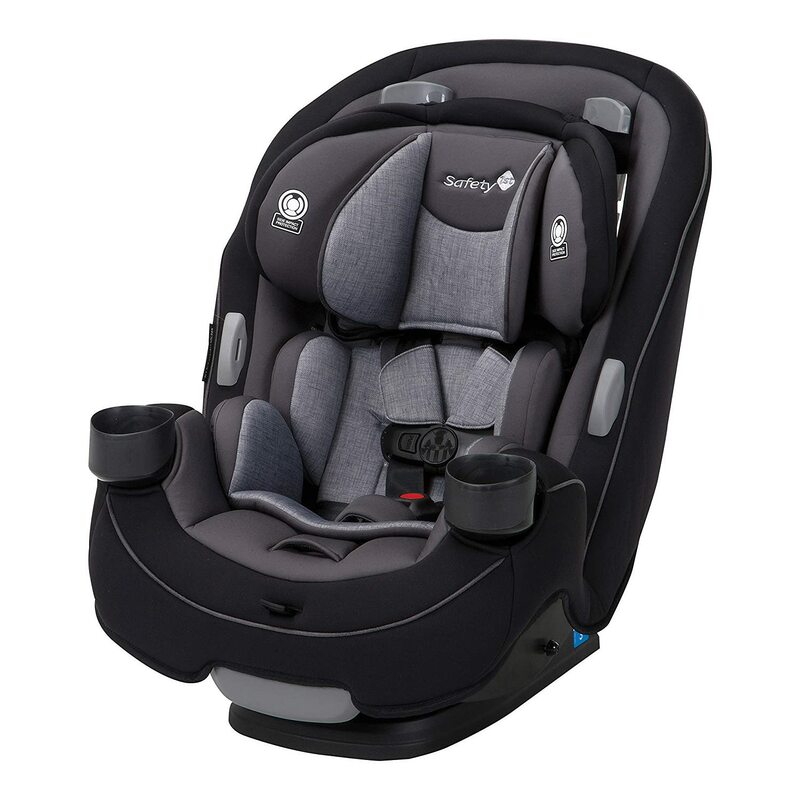 Made in North America but designed to meet European standards, Clek’s convertible car seats accommodate extended rear-facing up to an impressive 4 years of age (the standard in Europe) or 50 lbs. The seats offer side-impact protection, an anti-rebound bar for rear-facing installation, and a steel and magnesium structure for added safety. The Foonf has a rigid LATCH system and three different recline positions, while the Fllo only offers a belt-path installation and offers one recline position. The Fllo weighs about 10 lbs. less than the Foonf, and also sits a little lower in the car. (My son actually loves the height on the Foonf, as it allows him to better see his reflection in our car seat safety mirror.) Both seats are less than 17 inches in width, making it easy to install three seats side by side (aka “3-across”) in many vehicles. I highly recommend Clek’s wool car seats. They aren’t as easy to install as our Britax ClickTight, but it is a wonderful car seat brand and their Mammoth seats are made with the best materials. My youngest was also very happy moving from his UPPAbaby Mesa to his Foonf. Please note that their non-wool car seats received a moderate recommendation and contain phosphate-based flame retardants. If you are shopping for a new car seat, I would spring for any of the Mammoth seats over one of Clek’s other fabrics. Clek also offers a recycling program for its car seats – wow! Be sure to check Albee Baby and Pish Posh Baby for their Clek Foonf and Fllo Mammoth inventory. Note: Clek recently introduced their first-ever infant seat, the Clek Liing; look for that in Mammoth as well. The car seats rated being of “moderate concern” are those that use phosphate-based flame retardant chemicals and have up to one component that contains bromine. If you are shopping for a non-toxic car seat but the wool seats listed above are out of budget, the next best option would be a car seat from this section. The Maxi-Cosi Mico 30 features a rebound protection bar for added safety, machine washable self-wicking fabric to keep your baby cooler (and happier) in their car seat, and side-impact protection. It’s also one of the lightest car seats available, which helps when you’re lugging your little one around town. The Maxi-Cosi is a pretty plush and comfortable car seat, which might help your baby to feel more comfortable during car rides. 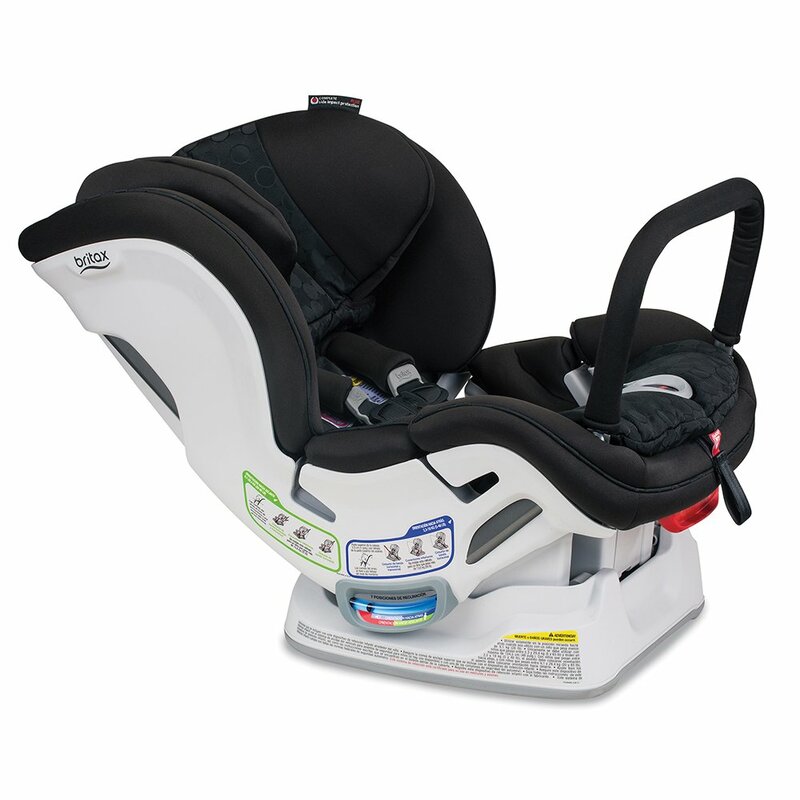 You can purchase an extra car seat base and matching stroller frame for the Maxi-Cosi infant seats as well. The standard version of the UPPAbaby Mesa is made with phosphate-based flame retardants, and was not found to have any per-fluorinated chemicals. It is an excellent car seat, though for $50 more I prefer the UPPAbaby Mesa wool car seat without flame retardants. Britax makes a heavy-duty car seat, and in my opinion it’s one of the safest car seat companies on the market from a physical safety perspective. This is why I wouldn’t write off Britax just yet. Additionally, Britax recently introduced their SafeWash fabric in Otto, which is washable and does not contain any flame retardant chemicals or PFAS. 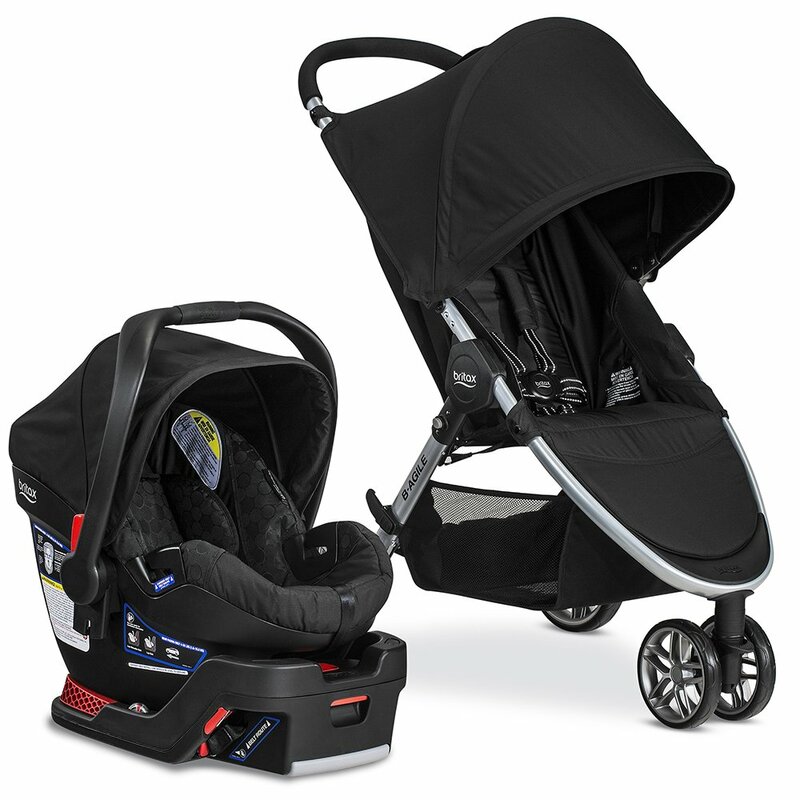 Britax offers two other models in its ClickTight family: the Boulevard ClickTight and Marathon ClickTight. The main difference between these three models is the side impact protection; the Advocate has 3 layers of side impact protection, the Boulevard has 2, and the Marathon has 1. The Marathon also lacks the Click & Safe Snug Harness Indicator, and has 2 fewer headrest positions than the other two models. For these reasons, I prefer the Advocate; just make sure you have enough room in your car as this seat is very bulky. All ClickTight models come with the option to include the anti-rebound bar for added safety. 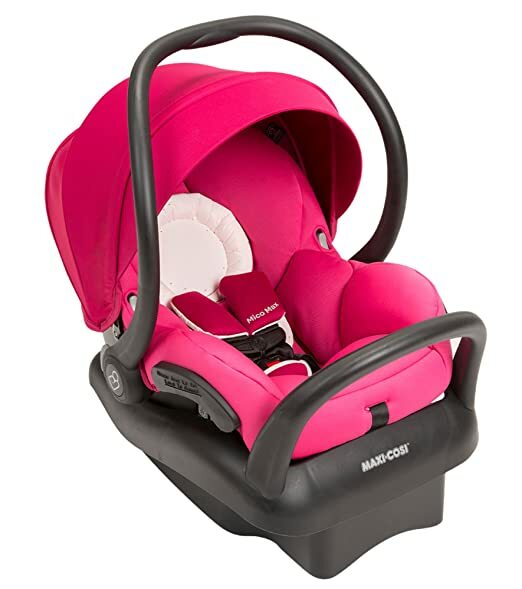 If the ClickTight models are out of budget, you could consider Britax’s standard convertible seats: Marathon, and Boulevard, if you can find them. They are similar to the ClickTight seats but do not offer the same ease of installation. These seats have been discontinued. I would feel confident using any Britax car seat due to the company’s commitment to safety and eliminate flame retardants containing bromine, chlorine, or other halogens from all components used in their car seats. Their B-Safe 35 Infant Car Seat is a good choice for an infant car seat or travel system if UPPAbaby and the Pipa Lite are out of budget. We are continuing to use the Advocate ClickTight, though we may swap it out for a Clek Foonf in Mammoth. The Grow and Go features side-impact protection and a washable seat pad fabric. 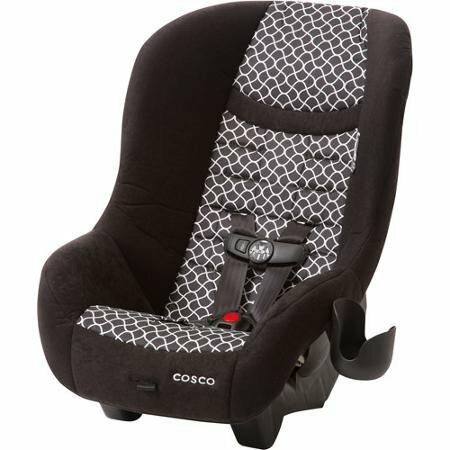 A true budget convertible car seat, the Cosco Scenera is especially popular for air travel. I personally purchased one for air travel and had to return it because it was too bare-bones for me and actually looked uncomfortable. It also does not have side-impact protection (hence the super low price). It is also owned by Dorel Juvenile, the same company that manufacturers Maxi-Cosi and Safety 1st. That said – there are many parents that use the Cosco Scenera for air travel and for everyday use (after all, all car seats have to pass the same physical safety standards), and I’m pleased to see that it tested ok in the study on non-toxic car seats. I would recommend avoiding these brands if possible since there are safer alternatives listed above. Sadly, despite Chicco’s popularity and ease of use, the KeyFit 30 received a very poor rating. Wash the fabric regularly. If (and only if) your car seat fabric can be washed, I would wash it per the manufacturer’s washing instructions. You can also leave the seat outside in the sun for a couple of days to speed up the off-gassing of any chemicals. Consider replacing the car seat. How much would it cost to buy a non-toxic car seat? Keeping your budget in mind, does it make sense to switch to another car seat? While there’s still a long way to go, the market is changing. Manufacturers are starting to respond to parents’ requests to remove harmful chemicals from car seats. Journalists are exposing the dangers of these chemicals. Lawmakers are paying attention. We as parents don’t want to expose our children to unnecessary chemicals that have an array of health hazards including hormone disruption, cancer risks, mental impairment, or reproductive damage. Sign the petition. The Ecology Center’s Toxic-Free Car Seats petition challenges manufacturers to develop safer policies and implement an action plan to eliminate hazardous chemicals in their products. Contact car seat companies. Email car seat companies and let them know that you are not buying their products because of the chemicals found in their car seats. Let them know you want them to introduce a non-toxic car seat without flame retardant chemicals for less than $200. Contact your representatives. Let your elected representatives know that you support legislation that overturns these well-intentioned but harmful fire safety regulations. Spread the word. If you found this article helpful in your search for non-toxic car seats, please share it with other families! Encourage others to follow your lead. I currently have the uppababy mesa infant seat in henry. Took me forever to find a non toxic carseat! We love it! We also have the stroller as well. Sadly, I just realized they ONLY make infant seats. Looking for a new seat for baby. I was leaning towards the Britax after a ton of research but was sad to see a few recalls with safety features over the past few years. Surprisingly, I havent seen anyone mention this. I would like the best of both worlds here. The safest AND most non toxic (which really shouldn’t be too much for ask for a baby item!) Any advice would be great! Uppababy is coming out with a convertible next summer!! I hate to have to wait but am so excited for this! One of their fabrics does not use flame retardants! hi, thank you so much for doing this blog. how often is it updated? Hi! Every few months. I’ll have an update done within another month or so. What can I help you with? Hello, I was wondering if you had any other recommendations for booster seats besides the Clek? I just purchased a maxi cosi for my son but after reading your article I don’t know if it’s safe for him? Hi! 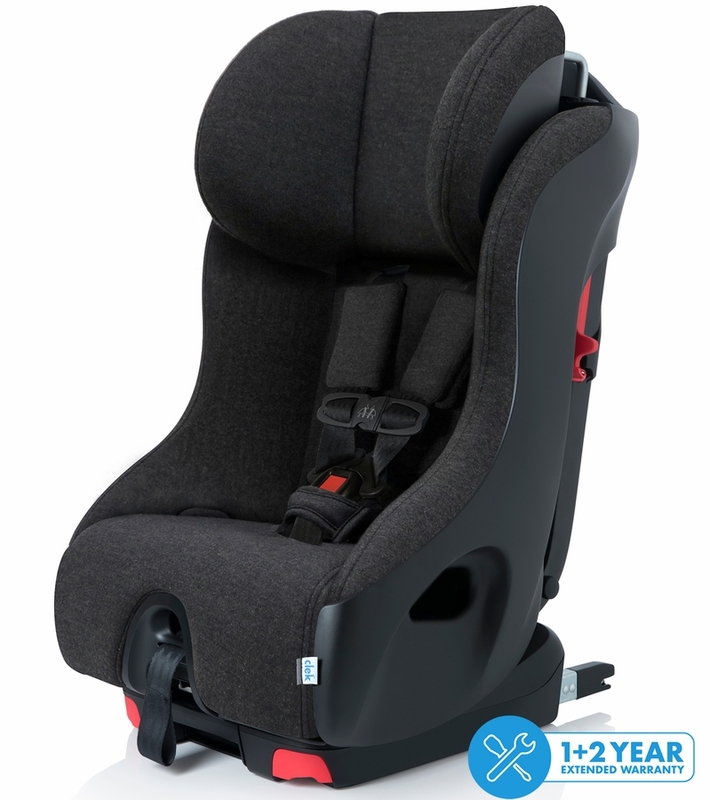 Maxi Cosi has the same material standards for all of their seats and they were rated highly in the last eco center report. I would be happy with this purchase. Hi! 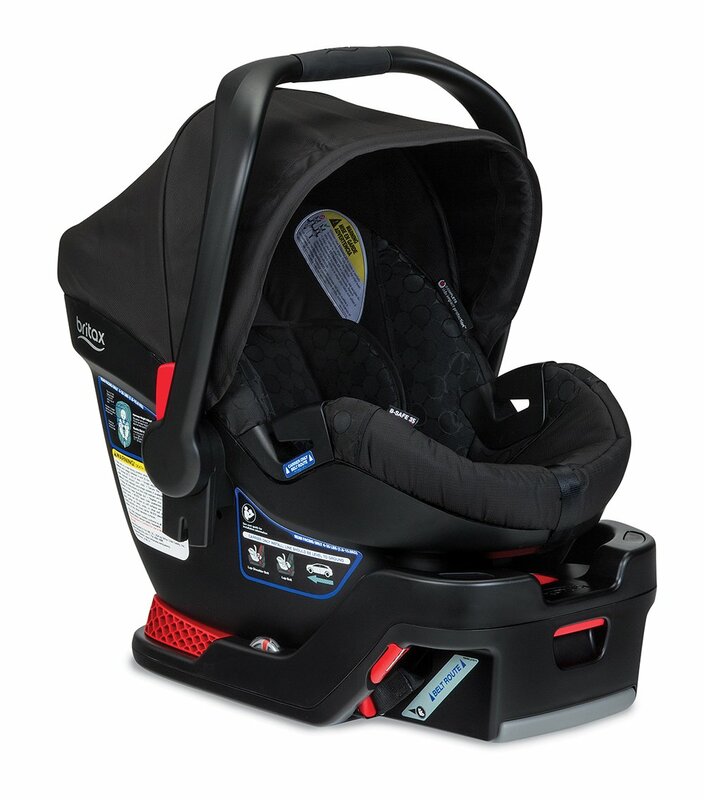 In what color was the Maxi-Cosi 30 infant car seat tested in? Hello! Only the Pria 70 Convertible Seat was tested. It was “blue base” but Maxi Cosi has confirmed to me in writing that the same manufacturing practices and standards apply to all models and fabric colors in the Maxi Cosi line. I need help PLEASE!!! I’m so confused I was going for the Chico Key FIt because of the high ratings for everything but now knowing that it’s toxic I don’t know if I can be comfortable my child being in it so I started looking at Britax infant car seats but I keep coming across that the ratings aren’t very good. Who could help compare the 2 or give me some insight. Hi! Did you see my writeup on the Chicco? And what ratings are you seeing on the Britax that aren’t good? They are excellent car seats. Let me know and I’ll be happy to help! Thank you! This was so helpful. I also like the comment section so I wanted to share my experience with other mamas. We bought the Nuna Pipa Lite LX for our baby. I was hesitating with the Uppa but my husband didn’t like their strollers. He wanted the City Mini (The Pipa Lite LX works with the City Mini with the cosi adapter). Also, I think it gets a better safety grade than the Uppa baby (because of the bar). But it’s a lil bit more complicated to figure out how to install it so the Uppa has a better grade overall. We were also happy to find the Lite LX in Stone at Nordstroom for $299. Anyway, we’ve been pretty happy with it so far. – the latch system doesn’t work on some cars. It doesn’t work with my BMW 3S. We use the belt system which is OK. We had a certified nurse (or you can use AAA) installed it for us and showed us how to install it. You can use a certified expert to install your seat for free. It’s recommended for any seat anyway. thank you for the feedback and great tips! I hope you love your Nuna Pipa Lite LX! This was sooo helpful! We have a Britax Boulevard for our 11 month old which I bought for physical safety reasons and at the time didn’t even think about chemical safety (which I think about in everything else so no idea why it didn’t occur to me). Needless to say, I’m thrilled that I haphazardly picked well. If all goes well with our next IVF, we will have another one (but possibly two) in May. Since we know we’ll ultimately need at least one more, we were going to order one now to use in my husband’s car. Because you have both Britax and Clek, do you have any idea if you would be able to do the Britax 3 across in an SUV? I was considering getting a Fllo but I’m a little worried for the future that kiddos could be fighting over the car seat if one is more comfy than the other. Any thoughts? 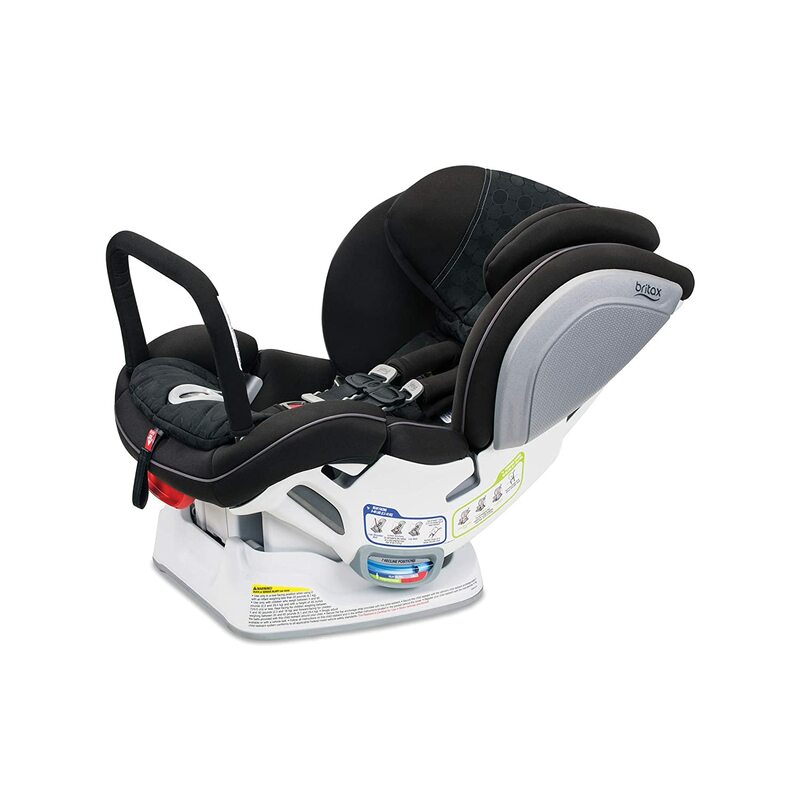 The Britax seats probably wouldn’t fit three across; they are about 18.5″ wide while the Clek is 17″. The Britax seats seem bulkier to me. I can also tell you that in my Infiniti QX60 three Britax seats would not fit three across. Are you a member of the “car seats for the littles” group on Facebook? That’s a great place to ask questions like this for your specific car. Good luck with your next cycle and let me know if I can help with anything else! I’m a little confused about Nuna being on the toxic list. We have a Nuna Pipa (not lite) and I bought it because it was one of the best non toxic infant car seats that I found after doing a lot of research. Is this not accurate? I thought the whole Nuna brand was non toxic!?!?!?! Hi Amanda, the regular Pipa seat tested poorly in the EcoCenter’s car seat study. Nuna disputes the findings but the results are there. The Pipa Lite seat is made without flame retardants, which is why it is recommended. This is maddening to me! I spent so much time and money on the Nuna car seat because it was considered non toxic after a lot of research! Luckily we will be moving to a convertible seat, but this pisses me off. Do you know about the clek fllo convertible seat? I know. I’m sorry ???? Yes I have a Clek. I chose the foonf because my oldest is almost ready to forward-face and I felt this was the seat I would want to use for a longer period of time between both kids. It’s not as easy to install as my Britax, nor is it as comfortable. But it sits much higher and lets my LO see himself better in the mirror (he’s still rear facing). So it’s a great seat – especially the wool Clek version. But not as easy to use as a Britax. Thank you! My daughter is only 8.5 months old, so she has a while before she is front facing. I was originally thinking to get the Britax clicktight, but then saw the Clek fllo as an option too. Agree Amanda!! I’m so upset since Nuna Pipa is a pricy infant carseat. I thought they were a clean company but i guess not. How sad to be misleading customers like that. Im now on the hunt for a convertible and was considering Nuna again but clearly will be staying away. Yes! It’s fantastic. I’m actually going to buy one myself. Thank you for this article. Have you looked into European toddler car seats as an alternative to US ones. I can’t find any information online about chemical flame retardants in European car seats, and my European friends have not heard of this issue. Perhaps European car seats are free from flame retardant chemicals? 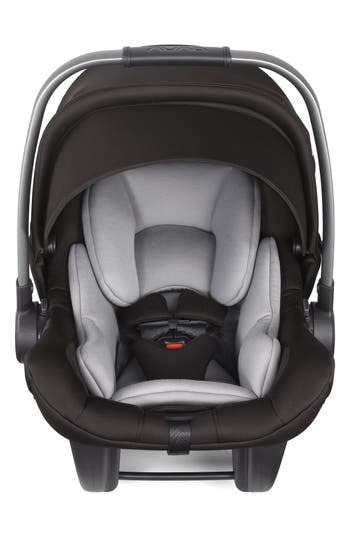 Did you ever get updated info for the Nuna Pipa Lite Infant Car Seat? Also for the Mixx2 stroller and Sena Aire? Thanks! Hello. I’m an expecting mom for the first time and your website has become my go-to for all things baby. Thank you for all the information and guidance, it has been so very helpful! At the moment I’m shopping for an infant car seat; which of the non-toxic infant car seat options on your list would you say is the safest (physical) option? So to answer your question, I think any CPST would say that all car seats have to pass the same safety standards, so the safest car seat is the one that fits your child and that you can correctly install in your car. In my experience, CPSTs don’t put much stock in features like side-impact protection, since all car seats DO have to pass the same federal standards. However, I personally opt for the most side-impact protection I can find in any car seat. That, plus an easy install, are what I look for. All of the infant car seats on this list have side-impact protection; beyond knowing that it is hard to compare how MUCH protection there is exactly, since this isn’t something that is standardized. You can’t go wrong with any of these seats. I know this doesn’t help steer you in any one direction, but I hope this was helpful! Is there one seat you have your eye on? Or a particular stroller you have been wanting? Thank you for your response! I just joined the FB group.. I am leaning toward the UPPA Mesa Henry car seat, although the compatible stroller is rather pricey. The other option I’m considering is the Maxi-cosi. I read somewhere (and now cant find where!) that having that bar at the foot of the seat is an added safety feature so I’m feeling like I need to look into and consider more a seat with that feature as well.. thoughts? Also, do you know if there are toddler car seats that are compatible with the Vista stroller and/or the Maxi-Cosi stroller for when the infant outgrows the infant car seat? Yes the rebound bar is another added safety feature. I forgot to mention that! Good thinking. I have heard that graco has eliminated the use of toxins in their car seats. Is this true? Do you know where I would find more information on this? I just bought the Britax Boulevard Clicktight. I know you said the Advicate and Marathon are good choices with no/minimal toxins, but what about the Boulevard Clicktight? Hi Clarissa! This applies to all Britax car seats. Ugh. I’m so disappointed to read about nuna. We spent so much time looking at things and spent 450 on the rava just to try to be healthy and so this is hard to read. I’m wondering if I should try to sell it and get one of your other items on list…. do you know any specifics on the rava itself by chance? I was really surprised to see the test results in on Nuna as well. They only tested the Pipa car seat, so there are no specific ratings for the Rava. Nuna disputes the findings in the Ecology Center tests, but the test results speak for themselves. Can you wash the car seat cover? How much time does your little one spend in the car seat every day? I would factor this in to my decision. I’m right there with you! I was disappointed by the results and also disappointed by the company’s response to my questions about the results. I love Nuna products too. But they did just recently introduce the Pipa Lite (which contains no flame retardants), which is definitely a good development. I was wondering if there has been an update in regards to the Rava? I am deciding between the Rava and the Advocate. No new information is available at this time. I would recommend the Advocate (as long as you have a larger car or SUV). Do you know if the newer Pria™ 85 Max Convertible Car Seat is toxic chemicals- free as well ? Hello! Yes according to the manufacturer it should be as free of toxic materials as the 70 (which received the highest rating for chemical safety from the Eco Center). Great choice! Hi there! My husband and I fell in love with the Maxi Cosi Pria 85. The fabric quality is better and it is an upgrade from the 70. Do you have any toxicity information on the Maxi Cosi Pria 85? Hi Eliza! Maxi-Cosi’s manufacturer has assured me that their manufacturing standards and chemicals policy apply to all of the Maxi-Cosi car seats. From a toxicity standpoint, the 85 should be no different than the 70, which was given the highest recommendation in the EcoCenter’s study on car seats. (But the 85 itself was not tested in the study.) Hope this helps! Please let me know what else I can help you with! HI there! My husband and I are looking at the Maxi Cosi Pria 85 in Nomad Blue. We like that the weight limit is higher and the fabric is better quality than the Pria 70. Do you have any info on the Pria 85? The Nuna Pippa Lite car seat is Oke-tex certified and is free of brominated and chlorinated flame retardants; so why is it included the list of toxic car seats? Hi Sue! I’m just in the process of adding the Nuna Pipa Lite to this list! The company has confirmed it doesn’t contain any chemical flame retardants but they haven’t been more specific with me about any other materials in the car seat. Nuna told me that the Nuna Pipa Lite car seat uses aeroflex foam and has no chemical flame retardants and is oeka-tex certified (which indicates no harmful chemicals). So, doesn’t that put it in the list of non-toxic car seats? Thank you for the clarification that the Nuna Pippa Lite is a non-toxic car seat. I know that you like Nuna products (as do I) so I just wanted to clarify. Similarly, can you confirm that the Nuna MIXX2 stroller is non-toxic? (I placed this question in the non-toxic stroller section.) Thank you! Yes, definitely a good option! As for the stroller, let me get back to you tomorrow. I’m waiting for a response from Nuna on that. Their products and materials went through a lot of changes and I don’t know the latest. Btw, have you considered UPPAbaby? I did consider uppababy but they are not Green Guard Certified or Oeka-Tex certified, whereas, almost all of Nuna’s products are Oeka-Tex certified (plus they have other US and European certifications ensuring their products are non-toxic). Why are uppababy products NOT Green Guard Certified or Oeka-Tex certified if they claim to be nontoxic? Doesn’t the fact that almost all of Nuna’s products are Oeka-Tex certified legally ensure non-toxic? In addition to determining if the Nuna MIXX2 stroller is non-toxic, can you confirm that the Nuna Sena Aire (which is Oeka-Tex certified) is also non-toxic? I know you have high praise for Nuna products so I just need to confirm that non-toxic.Thank you for all of your help and guidance! I’ve got a reply from Nunababy with a PDF chart that supposed to be the “summary of Ecocenter’s report on Pippa. However, that chart is so different from the EcoCenter’s report I read, http://www.ecocenter.org/healthy-stuff/samples/nuna-pipa-infant-car-seat-base-‑-scarlet. Nuna’s report said, bromine level was unmeasured on Pippa but the Ecocenter’s tests clearly detected high levels of Bromine everywhere up to 8000 range. And they told me they only use polyphosphateFR on a seperate email. Hi Helena, I’m getting the same info from Nuna. I’m in communication with them and will update you and this list shortly once I clear it up with them. Thanks for your question. OK, here’s the rundown. The Pipa Lite contains no flame retardant chemicals – this is a good option! The original Pipa uses phosphate-based flame retardant chemicals – which are safer than halogenated chemicals – just not in areas that come in contact with your child . This is also good, BUT the conflicting information comes from the EcoCenter’s study, which indicates there are brominated FRs in the seat (including in the upholstery, which obviously makes direct contact with your child). Nuna indicates they have not found the same chemicals in their original Pipa seat through their own independent testing. We are still in communication and I will be updating this article with more info if any becomes available. I do like Nuna products so I am hopeful there will be better news in this year’s EcoCenter study. The Pipa Lite does not contain flame retardant chemicals but it is NOT Oeko-Tex certified. I like that the seat is made without FRs and the fact that it is only 5.3 lbs! BUT, please note that if you plan to use it for air travel, you must take the base along (unlike the UPPAbaby Mesa). You cannot use this without a base (i.e. with only the belt path). So it is a great non-toxic car seat but it has some limitations. I thought Britax Marathon seats had one of the worst toxicity ratings. I recall reading this just after purchasing and the following model year they corrected this. Is this so? They used to but beginning in 1/2013, they required all of their suppliers to eliminate halogenated flame retardants. They’ve moved to phosphate based chemicals which are considered safer, though further testing is needed. (Their strollers are not treated with any flame retardants.) Are you shopping for an infant or convertible seat? Do you know if the color matters? I am interested in the maxi cosi seat and just wondered if the other color options were safe as well? Hi Karen! 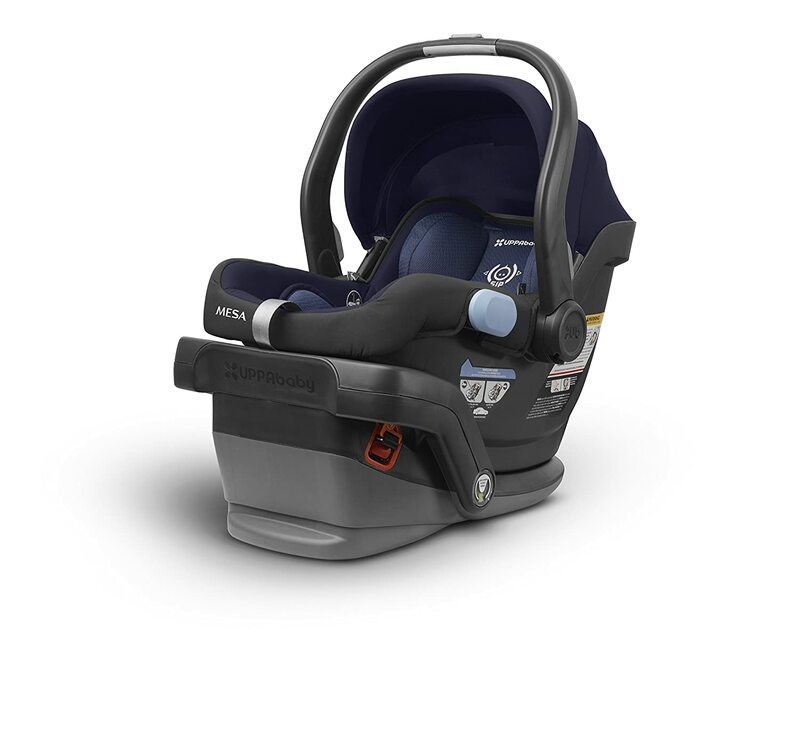 This specific car seat was not tested but the other two Graco seats that were tested received the lowest rating due to their use of brominated flame retardants. Are you considering any other seats? The Maxi Cosi is a great choice! Thank you for replying. I was considering britax advocate clicktight after reading your article. But i just wasnt sure if it requires booster seat later on. I love my Advocate ClickTight! Just have to warn you it’s bulky. And it would require a separate booster seat later on when your child outgrows the convertible seat. Thanks. Can you suggest me a humidifier?